This insurance review is for the ULLICO Health Insurance Company. 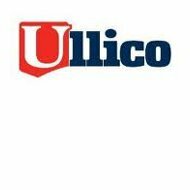 Also known as the Union Labor Life Insurance Company, ULLICO was founded back in 1925. ULLICO received its funding from various labor organizations, as they provided both insurance and health care coverage to union workers who could not get coverage from any other source. Are you looking for insurance coverage? We can help you get the health insurance you need! Simply enter your zip code below to compare rates and get started today. Even though ULLICO does provide health insurance coverage, it is only available to individuals who are part of a union. If you are not part of a union and are looking for health insurance coverage, you must contact another company or insurance agent. In addition, to life and health insurance products for union members and groups, ULLICO also offers financial services, management of assets, benefit management, and more. Because of the way the company is set up, ULLICO’s value of stock only changes once per year. This happens at the annual meeting after the Board of Directors sets the share price. The purpose of this coverage is to both protect and offer additional coverage for union members as well as their families. Included in this coverage is the protection against very large medical bills for care provided by either a doctor, hospital, or other provider. The purpose of the medical stop loss insurance is to provide plans that are self-funded protection against unplanned medical expenses. The program by ULLICO Health Insurance Company allows you to customize the plan to your specific needs, including the type of coverage and the total benefit amounts. The two different types of stop loss coverage are aggregate and specific. A specific stop loss is designed to protect a plan that is self-funded from an extremely expensive single claim by a customer. The claim has to be higher that the preset dollar amount set by the plan. Aggregate Stop Loss Insurance is the same as a specific stop loss plan; however, it protects a group of claims from the same group, rather than just an individual claim. The second product is the pharmacy benefit management plan. This plan is not available to individuals, but rather helps businesses that offer health insurance the ability to manage their prescriptions costs and benefits. Some of the services available to union groups include the ability to provide an audit that can be done in real time. These claims can be processed at any time and can even help fix an error while the customer is still in the pharmacy. The third product offered through ULLICO is the vision care program. The program offers vision coverage for both union groups and their members. The coverage is provided through VSP Vision Care, and includes many different eye care benefits ranging from simple eye exams to frames. The life insurance offers many different coverage types, including term and whole life insurance. These policies can be customized to meet your individual needs. The accidental death and dismemberment coverage is available in the event of a death or provides insurance in the event that bodily injuries occur due to an accident either at or away from the worksite. The hospital expense program provides covered members with a set daily amount to cover the daily hospital expenses you might incur for care due to an accident or a sickness. Finally, the dental coverage allows union members and their family, no matter the age, the ability to choose any dentist and get dental coverage including preventative care. Still looking for health insurance? Enter your zip code today to see rates from health insurance providers in your area!